FAIRFAX, Va. and BOWLING GREEN, Ky.
"We’ve had a long-standing relationship with Corvette and are very proud to sponsor and support a place where the heritage of this iconic American car is celebrated each and every day"
FAIRFAX, Va. and BOWLING GREEN, Ky.--(BUSINESS WIRE)--ExxonMobil today announced a multi-year sponsorship and expansion of its relationship with the National Corvette Museum (NCM) becoming a sponsor of the new NCM Motorsports Park in Bowling Green, Ky. As part of the agreement, Mobil 1 synthetic motor oil will become the “Official Motor Oil” of the Motorsports Park and Exxon and Mobil will become the “Official Road Fuel” of NCM Motorsports Park. The expanded sponsorship includes a number of activations to support the museum and new track, including the NCM Corvette Delivery program, where new owners receive their Corvette directly from the Museum, and the “Build Your Own Engine” program, where new owners who choose this option will hand-assemble their Z06 Corvette’s engine. ExxonMobil will be installing a Mobil-branded gas station on the Motorsports Park grounds to provide professional and amateur racers with fuel. With a factory-fill relationship that began in 1993, ExxonMobil has a legacy of helping Corvette engines perform at their maximum with Mobil 1 lubricant technology. 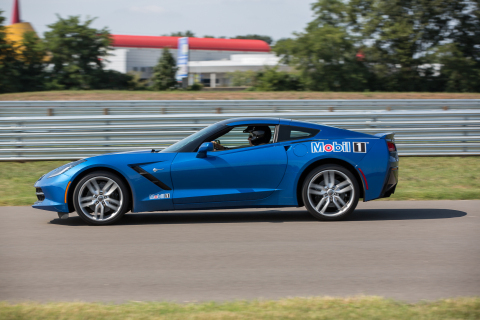 The fully synthetic motor oil also serves as factory-fill for the Corvette Stingray with the Z51 Performance Package and the highly anticipated 2015 Corvette Z06. Additionally, Mobil 1 has been a major associate sponsor for Corvette Racing and the “Official Lubricant of Corvette Racing” since 1997. 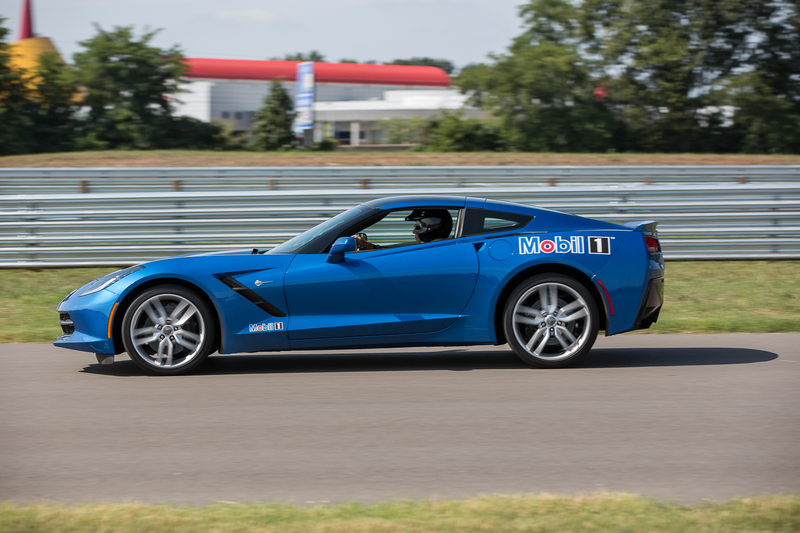 In that time, ExxonMobil engineers have worked closely with Corvette Racing to develop and test new technologies to optimize power-train performance, improve fuel economy benefits and increase horsepower output without sacrificing engine durability. Since 1953 the Corvette has been America's Sports Car. The National Corvette Museum was established as a 501(c)3 not-for-profit foundation with a mission of celebrating the invention of the Corvette; preserving its past, present and future; and educating the public about Corvette. The Museum is open daily from 8 a.m. to 5 p.m. CT and is located at exit 28 off I-65 in Bowling Green, KY. For more information on the National Corvette Museum, visit www.corvettemuseum.org or call (800) 53-VETTE (83883). With over one mile of frontage on Interstate 65 and located across from the National Corvette Museum (NCM) and the GM Corvette Assembly Plant, the NCM Motorsports Park will be one of the most centrally located and easily accessible driving facilities in the country. The top priority of the NCM Motorsports Park is education and safety. For more information on the NCM Motorsports Park, visit www.motorsportspark.org.